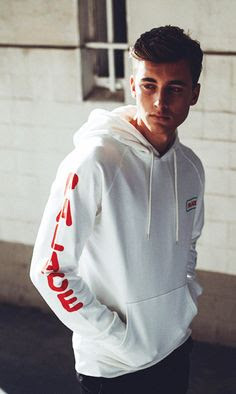 Every guy should definitely need to own at least one hoodie in their closet at home as it is the easiest yet versatile piece of clothing that can be worn anywhere and anytime with swag! It's an easy match. But still, for those guys who have only one go-to hoodie, why not consider adding some to give you more choices when you go out? Because people will notice when you keep wearing the same hoodie everywhere you go, trust me! So here I am trying to help you out by suggesting you these must-have hoodies (so go and grab some as well) so that you will definitely have more choices to go to especially on your casual days. Zipper hoodies are the most common type of piece that most of the guys own as it is easy to pull over your tee. You can zip it up or not according to your liking and rock the look anywhere you go. You can match your zipper hoodies with any of your favorite jeans and walk out with confidence as this look will never go out of style and we'll never go out of style (like the famous Taylor Swift's Style song). For the individuals who want a quick pull over, a hoodie sweatshirt will undeniably do the trick. It is a sweater but with a hood behind to cover your head when you feel like it. Mostly guys wear it during cold weathers (for instance when in class and the aircond is freezing) or on rainy days to its comfortable feel and warm. 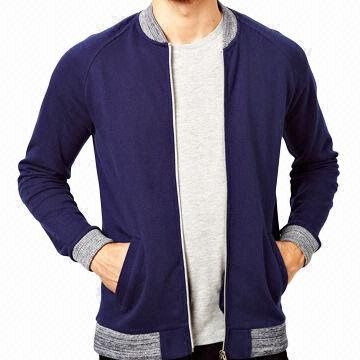 Men it hoodie sweatshirts absolutely has that laid-back yet edgy appeal to them. 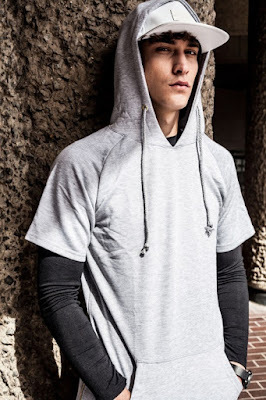 Guys who prefer a more casual style, the short sleeve hoodies are definitely a great substitute to a t-shirt. Simply wear it on and go about your day with comfort. It gives you that effortlessly masculine swag and casual touch. Show off those strong arms (especially to those guys who spent a lot of time working out at the gym, so it's the time for you to show a bit of your hard work hmm) and still look trendy as ever. Go and grab some hoodies (or a new one) and never go out of style! Just before that, I would like to know women (girls') perspective on this; Do guys look cool with hoodies? Share your girly opinions on the comment below. TQ! honest opinion, suka tengok laki pakai zipper hoodie kot. sbb saya suka pakai hoodie jenis tu, lol! Yep hoodie tu macam simplicity! Mudah dan cuma sarung je dah terus nampak stail. Hehe. sy pun suka beli hoodie ni, time sejuk @ hujan boleh guna. Sangat membantu kan time-time sejuk. Nak pulak sekarang ni macam musim hujan je hari hari hujan. Haah samalah selesa hoodie ni. Kira macam wajib ada sorang satu. HAHAHA. Wifes always wish to give new look to husbands that is why online shopping for women is loved and preferred.